As a working couple who take turns staying at home with our two-year old son and nine-month old daughter, we are a busy family. As any parent knows, you have to give up many things when you first have kids. For me, one of the things I stopped doing much of was exercise, and my preferred type of exercise had always been yoga. I don’t claim to be any kind of yoga expert, but I have enjoyed and benefited from the activity for many years. Once we got past the hardest part, the first year or two after we had our first, I realized one day that I no longer had any excuse not to do yoga. A lot of moms out there are already doing yoga with their kids, judging by the fact that most articles on the subject are written by women. But I want to encourage dads to try it out, too. The purpose of this article is to give you some tips for how to start doing yoga with your toddler. 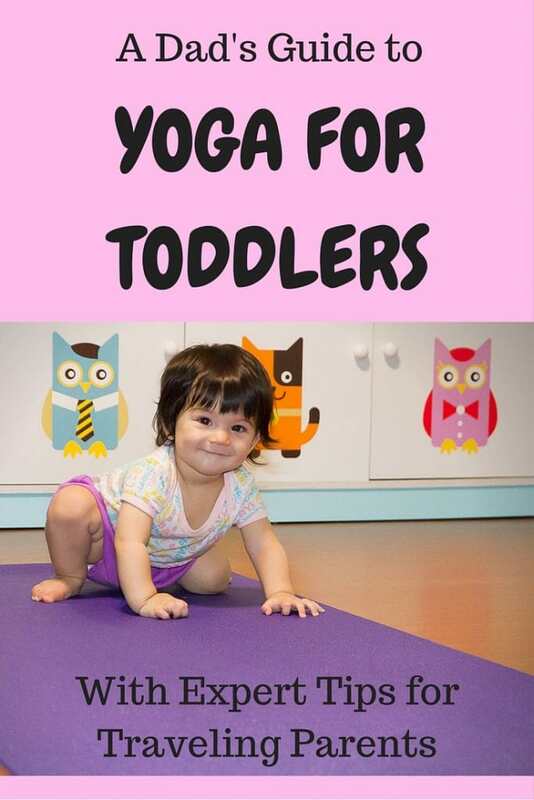 Why Should Toddlers do Yoga? In this day and age, the temptation to let electronic devices replace traditional toys and games is stronger than ever. It’s easy, kids love them, and let’s face it: as parents, we are all exhausted. But it’s also detrimental to their health and development, and the age that kids are getting hooked on their devices is getting younger and younger. In the past, I fell into a bad habit of letting my son watch YouTube videos on my laptop between his afternoon nap and dinner, a time when he really should be playing or doing something physical. It just happened to be that hump in the day when I felt the most tired. But once a habit like this becomes routine, your child comes to expect it, and will demand it. But as soon as I started making that time into our yoga time, I found that my son didn’t resist and quickly forgot about the videos (OK we still watch videos some days. We aren’t perfect…). And instead of spending the late afternoon staring at a screen like a zombie, he was smiling ear to ear and bouncing around! The exercise would also wake me up and got me out of my slump. Once we did it enough times, yoga became our new routine, one that he now comes to expect every day. Young kids want to be moving around a lot, and they should be, so all you need to do is let them do what is only natural for them! At such a young age, I use the term “yoga” loosely. We all know the many benefits that yoga can have for adults. For kids, it has the same benefits, but it can offer so much more. It can involve playing, stories, music, dancing, mimicking animals, language learning, and so on. Make yoga your special time do all sorts of fun and developmentally rich activities that maybe your child isn’t getting enough of at other times. As a form of exercise, yoga can help your toddler’s general motor skills, moving in ways that he or she has never tried before, testing out new muscles, pushing limbs in different ways than normal, and overall just developing a better awareness of his or her little body. As a social activity, your toddler can learn to follow instructions, imitate actions, try new things, and develop confidence. For young kids, anything physical is fun, and it can also be funny. As you probably know, your toddler already loves copying everything you do and say. So why not funnel this tendency into developing a healthy and active lifestyle, for you and your child alike? Use yoga time to teach your toddler new words in the language of the country you are in, such as numbers and body parts. This could be good practice for you, too! 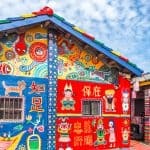 We live in Taiwan, so my kids are learning English and Mandarin at the same time. My son’s English is better than his Mandarin, so I usually use yoga time to school him on his mandarin numbers and body parts. When Should I Start Doing Yoga with My Child? There is no specific age that you should start doing yoga with your child. Pre-natal yoga is said to do wonders for women’s bodies, help them develop connections with their child, and ease childbirth. Doing yoga with babies is worthwhile as well, but to me that seems more like you are doing yoga “to” your child, not “with” him or her. There is also a lot of info out there for doing yoga with older kids. 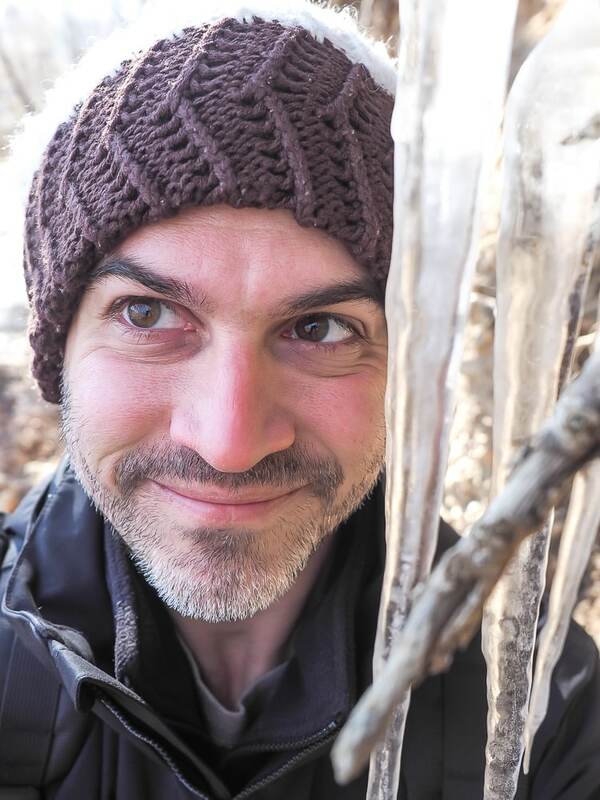 In some ways, I feel doing yoga with older kids is easier (which I learned when teaching yoga to elementary kids at an English camp in Korea) because they can understand more complicated directions, focus longer, and there are more games that you can do. Toddlerhood is a pivotal transitional phase between the total dependency of infancy and the increased independence of childhood. Their language skills are just picking up, their inquisitiveness is growing exponentially, and they are starting to become more familiar with their own bodies. In my opinion, this makes toddlerhood a GREAT time to start doing yoga with your child if you haven’t already. More practically speaking, I found that as soon as my daughter was able to crawl around and sit up well on her own, around 8 months old, that was a turning point that made it easier to try exposing her to yoga. Of course she can’t do much, yet, but she is already watching us intently and even trying to imitate the occasional action. Don’t expect your toddler to begin his or her yoga practice by going straight into sun salutations! 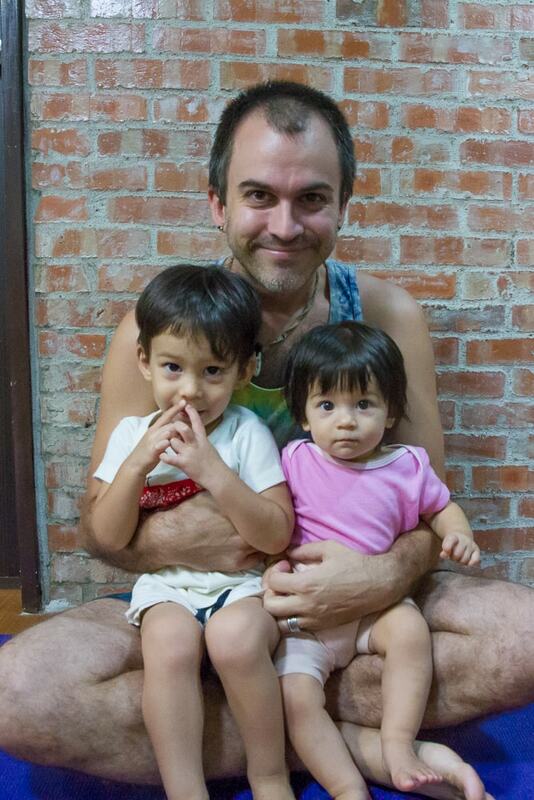 Why Should Dads (and not only moms) do Yoga with their Toddlers? Children are born with a natural physical connection to and dependency on their mothers. This is fairly obvious. A common complaint, and even source of depression for some fathers is that their babies or toddlers seem to want or need mommy more than them, or that only mommy can soothe their kids when they are crying. For fathers, there are ways to reduce this starting before your baby is even born. For example, singing and talking to your partner’s belly can help your baby to become more familiar with you, since he/she’s used to being inside of and listening to Mom 24/7. And after your baby is born and starts growing up, what better way to develop a physical connection with your child than with yoga! Obviously I’m not saying that moms shouldn’t do yoga with their kids as well. But I suspect that a high percentage of the parents out there who are already doing yoga with their kids are moms, even though moms already possess those super strong physical and emotional bonds with their kids. This just means that if dads are willing to give it a try, they potentially have more to gain in terms of their relationships with their children. Letting my 9-month-old daughter Lavender get used to the yoga mat. I wasn’t able to get through much of my routine before the kids were climbing all over me and wanting to stand (for my son) and crawl (for my daughter) on the yoga mat, too. And of course I let them do this, and watched with pleasure as my son tried to copy some of my moves without me even having to say anything. For my daughter, I just let her crawl around and hang out on the mat to become comfortable with it. We have hardwood floors and the mat is soft and squishy, so she developed an instantaneous liking for it. Try out these foldable yoga mats for kids that come in a handy carrying bag. These eco-friendly kids’ yoga mats can also serve as towels and sleeping mats, and they come in a variety of fun, colorful designs. Sage loves getting the yoga mat by himself before yoga time. I’ll never have to get my own yoga mat out again. That is now Sage’s job. Toddlers are just getting to that age when they like to have a task or to be daddy or mommy’s little helper. Now when I announce that it’s yoga time, Sage runs excitedly to our side room to get the yoga mat, bringing it out to the same spot every time. As time went on, I also found that Sage loved to “be the teacher” by showing Lavender what to do. Kids love playing parent or teacher to others, and it can help to begin developing their sense of responsibility. And younger siblings will really mimic what their older brother or sister does, in that same way that they love copying mommy and daddy! I started with just saying things like “Sage, you help Lavender do yoga!” Usually he would just model poses for her, and later on he started to tell her more specific instructions like “Lala, hands up!” As you can see, his confidence was high enough that he had become comfortable with taking his newfound knowledge and sharing it with others, and this is an big step for a two-year-old! And as a parent, it just melts your heart to see an older child helping a younger one. He also loves “teaching” his sister Lavender his moves, and she actually seems to pay attention! Letting your toddler be in charge can be as simple as letting him or her choose the location in your hotel room or at the park for doing yoga. If you only have one child, then obviously you can’t have one of them teach the other, as I mentioned above. But you can use their favorite stuffed animal instead! Large teddy bears are best, but you can make anything work. The teddy bear can act as an observing student, or you actually have your toddler physically help the stuffed animal do stretches. Either way, your child is taking knowledge they’ve learned and teaching it to others, and this helps to further instill their new skills. – Place two toys on the floor and make your toddler stretch between them. – Balance a toy on a part of their body without dropping it. – Make the teddy bear go up and down on their abdomen by breathing, developing their breath awareness. – Reaching up to pick apples from the tree (balls you are holding up). Be creative, let your inner child shine through, and will be a world of possibilities! Besides the many props you can find in your home, there are some excellent specially designed props out there. The Yoga Pretzels yoga cards are great because they are very large and easy for kids to hold. They could also be very useful if you are teaching a group of kids, because you could play games such as ring-around-the-rosie, where the kids have to do the pose they stop on. There are also many excellent yoga books for kids out there. Little Yoga is great for toddlers, and also includes useful tips for parents to teach the poses correctly. It is said that 80% of a toddler’s dreams are about animals. Chances are your toddler loves animals. So make animals a part of your routine! – Downward Dog: This pose could also be a bear, giraffe, or any other animal your child loves. My son is currently in a dinosaur phase, so for us it’s a stegosaurus. – Cat-Cow Pose: For us, I go into cat pose as he stands by and copies me, then come up into cow pose and chase after him. I got most of these ideas, and there are several more, on this great page of tips for doing yoga with toddlers. These are only a few from the zoo category, but there are other categories listed on this page, and so many different directions you could go with this as your toddler gets older! A great book for teaching animal poses is You are a Lion. This book is great for toddlers and older children alike! Are you going to visit a zoo or wildlife sanctuary? If your kids are like mine, they are still going to be thinking about those animals later in the day. This will be a great time for them to do animal poses, and will help to instill the memory in their minds. You could even get them to try to imitate the animals they saw without your help! You will quickly learn that it is impossible to avoid this. Your toddler is going to climbing over, crawling under, and sitting on top of you. Instead of trying to resist this, you might as well just work with it. Your toddler is not going to sit calmly across from you on his or her yoga mat like a student in a yoga studio. When my daughter starts climbing on me, I sometimes use her as a kind of weight, for example, holding her up while lying on my back and making her fly. You can also do it with your feet, holding their hands for safety unless you feel like they are ready to try no hands. If Sage crawls under my legs while I am stretching them apart such as during warrior pose, the “bridge” sometimes “collapses” and he has to pass through before I sit on him. You will see that your toddler absolutely loves this kind of physical contact with daddy (or mommy, of course). They need it in the same way that an infant needs to be held and nurtured. It makes yoga fun for them, and is a wonderful way to facilitate interaction between you and your child. Does your child have troubling sleeping in new places or new beds? Physically interactive yoga before bedtime might make your toddler feel more comfortable and at home. Children are creatures of habit. As a parent, you probably already have a set daily routine with your kids. Doing things at the same time and in the same way makes life much easier for parents. Children find comfort in repetition, and they will sleep better at night. So now it’s time to make yoga part of your routine. In order to do this, try to do yoga at the same time every day. I already mentioned above that our yoga time is between their afternoon nap and dinner. This works perfect for us because it helps my kids to expend the last of their energy for the day before we do dinner, bath time, reading, and finally bed. If you are a working dad, it may be more difficult to fit yoga into your daily routine. You might want to do yoga just before the kids go to bed, but if even this is not possible, you can at least make it part of your weekend routine. Besides choosing the same time of every day, it’s also beneficial (but not essential) to always do yoga in the same place in your home. Routine and repetition makes it easier to teach kids new things. What you don’t need is to abide by a strict structure in your practice. Toddlers aren’t old enough for this. Go with the flow, and if they get distracted and you lose them for a while (and you will) just let them go, and focus on your own practice until they show signs of wanting your attention, at which point you can gently bring them back in again. Change poses or activities quickly to keep them entertained, follow their lead if they want to do something, and don’t fret if you only manage to keep them involved for five or ten minutes. After all, your child is only a toddler. You can focus more on structure when he or she reaches childhood. Traveling with our kids we have learned that maintaining a regular routine (not with yoga, but with everything) is one of the biggest difficulties. It may not always be possible to do yoga in the same place or at the same time. However, don’t view this as an obstacle or as a downside to taking your kids traveling. It may sometimes be tough on you, but your kids are going to develop valuable skills, such as the ability to adapt to different environments. These are great tips – we (my 13 month old) and I just started yoga at home and he loves stretches and really having fun with using the mat. This post came at exactly the perfect time for me as I started doing searches two days ago on how best to yoga with a toddler. From a dad’s perspective it is also great to see as we usually only see posts like this from moms. Excellent! Very nicely detailed, illustrated and shared! It’s so beneficial from so many aspects! I totally agree with you. Sometimes, it’s so easy to get into the consumer and let kids play with the tech toy such as the Ipad, but there are not so many good advantages! I love Yoga, and I do it every morning, so for me, when I’ll have kids, I’ll do this also. Even if it’s overrated and people don’t believe in that kinda thing, it’s nice to share another moment with your kids. Thank you for this inspiring post! It is obvious you are enjoying spending time with your babies and this is exactly what everybody should do. I am going to remind myself of this post in couple of years when I will have my own kids. How cute 🙂 What a sweet lesson that’s sure to stay with your family for their whole lives. I love that Sage loves to help bring the mat over!